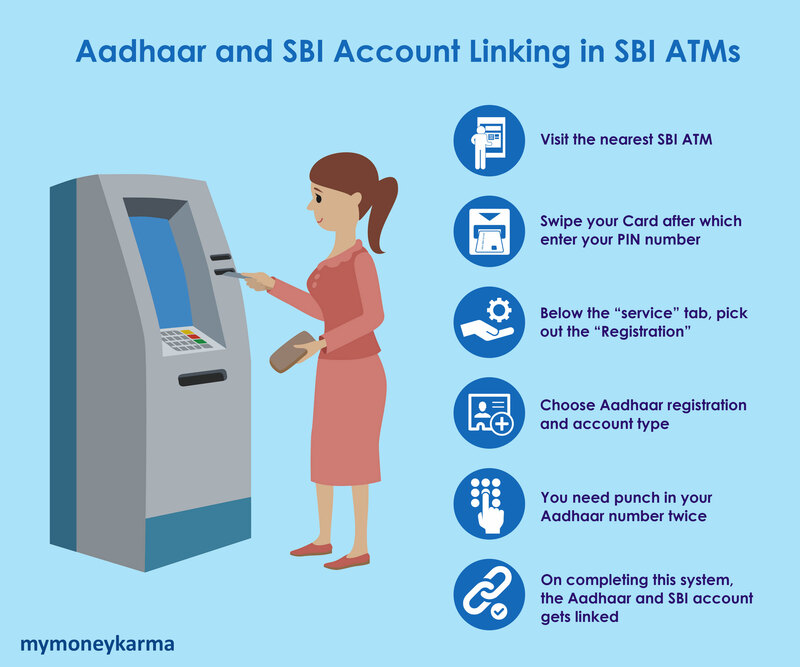 How to link Aadhaar Card to SBI Bank Account? 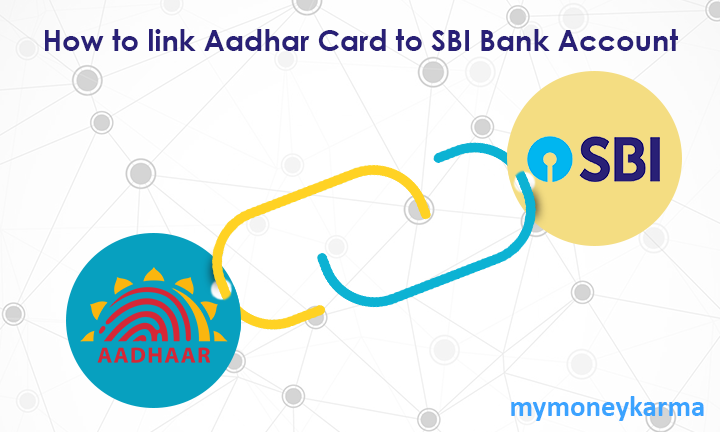 The Indian government initiative to link Aadhaar card with the citizen's bank account makes it easy to directly transfer money to the account for the implementation of different subsidiary schemes. If you own an SBI bank account, you can link the Aadhaar with SBI account through SBI’s mobile app, SBI ATMs, net banking, customer service points or by visiting any SBI branch. Step 1: Download the SBI Aadhaar Card linking form from SBI’s internet site. 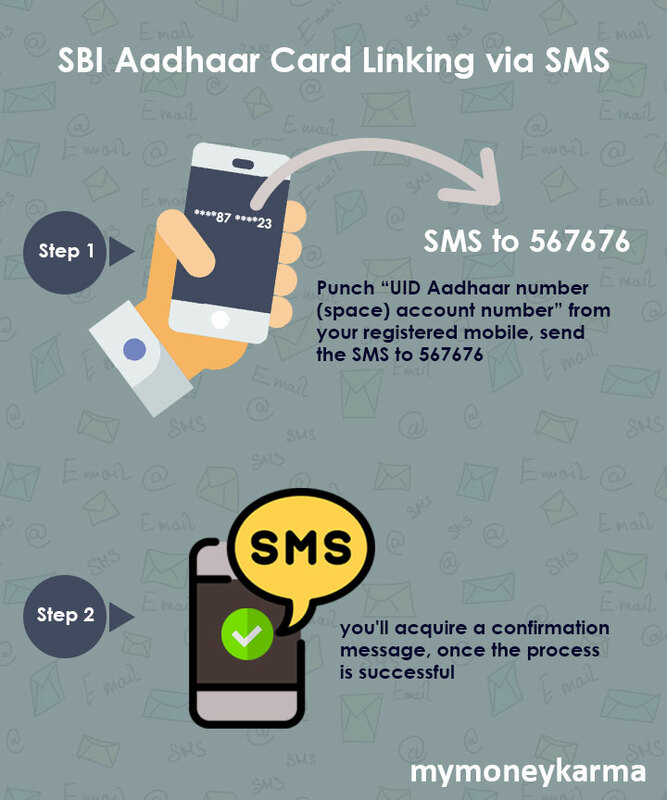 Step 2: Fill out the form completely with your account number, your name and address, and Aadhaar/UID number, as mentioned on the Aadhaar card. Step 3: Hand over the form along with the self-attested copy of your Aadhaar card to your respective SBI branch. Step 4: To begin the verification procedure, the bank officials will verify your documents - provide the original Aadhaar card for this purpose. Step 5: As soon as the details match, the bank will approve your application. Step 6: Once your application is approved, you'll receive a notification from the bank stating that your Aadhaar Card has been effectively connected to your SBI account. 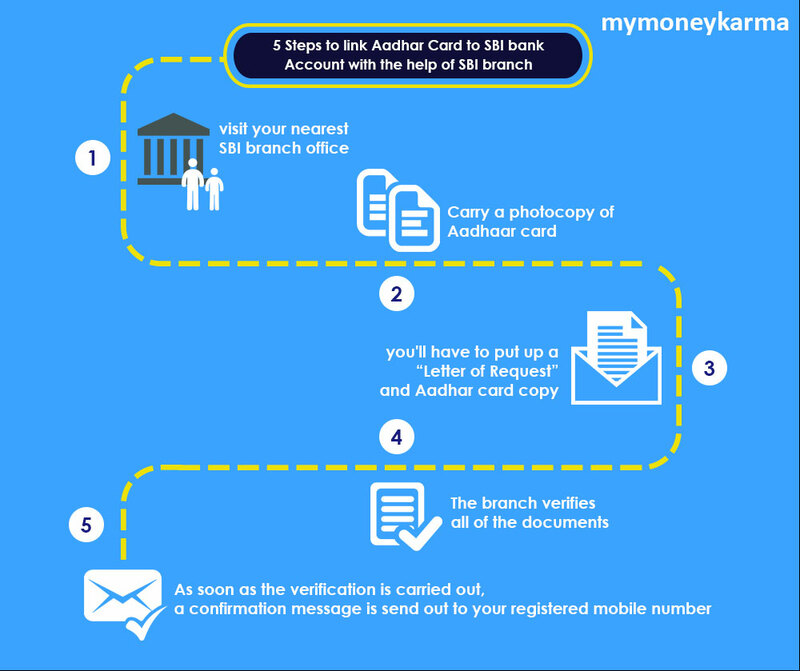 How to link Aadhaar with SBI bank account online? What will be the results if my SBI account isn't linked with the Aadhaar card? SBI will freeze the accounts that are not connected to Aadhaar card. 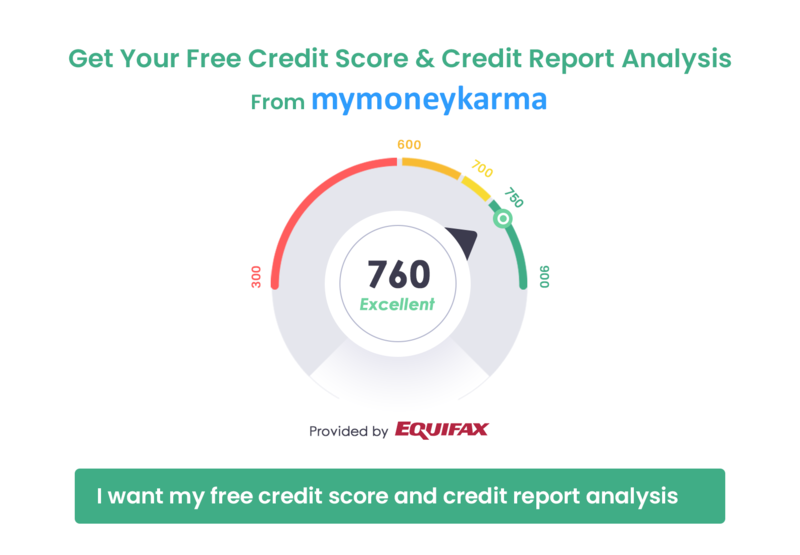 If the SMS linking technique fails, what are the impacts? In such a case, you receive an SMS that asks you to visit the closest branch and handover the letter of request along with a photocopy of Aadhaar card to finish the procedure.